The hilariously funny and wonderfully romantic tale of a lovesick prince and the extravagant lengths his eccentric aunt will go to in order to save him. The original Broadway production of 1957 (which originated at Guild Hall! 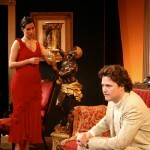 ), entitled “Time Remembered,” starred Richard Burton, Susan Strasberg and Helen Hayes. 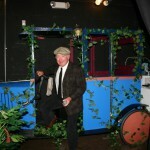 JOHN DOWNING (Taxi Driver/Innkeeper) has worked in summer stock and many theaters in New York for many years. Favorite past roles include Henry Drummond in INHERIT THE WIND, W.O. Gant in LOOK HOMEWARD ANGEL, Judge Danforth in THE CRUCIBLE, Art Dealer in SIX DEGREES OF SEPARATION, Dan Hilliard in THE DESPERATE HOURS, Mr. Van Dan in THE DIARY OF ANNE FRANK and Senator Iselin in THE MANCHURIAN CANDIDATE. JAMES EWING (Butler) founded the Hampton Theatre Company in 1984 and has since appeared in over 20 productions and built numerous sets. Favorite roles include Owen Musser in THE FOREIGNER, Artie Shaughnessy in THE HO– USE OF BLUE LEAVES, Nonno in THE NIGHT OF THE IGUANA, Tobias in A DELICATE BALANCE and all the many characters of THE DINING ROOM. He is happy to be returning to the stage in this lovely play and very proud of his truly gifted director and HTC Executive Director, Sarah Hunnewell. ALBERT GIGLIATI (Ice Cream Man/Gamekeeper) is a graduate of C.W. Post University where he appeared in AMERICAN BUFFALO, MEDEA and SEXUAL PERVERSITY IN CHICAGO. Other appearances include roles in THURBER CARNIVAL, LITTLE MURDERS, JESUS CHRIST SUPERSTAR and ANTIGONE. Most recently he has played Judas, Jesus and Peter at the Grace Lutheran Church. Al has also done stand up at Governors Comedy Club and worked behind the scenes as a stage manager and on lights and sound. Al would like to thank his wife and children for encouraging him to start performing again and to thank God for them. GORDON GRAY (Prince Albert Troubescoi) is proud to be a part of this fantastic group of artists in his second production with the Hampton Theatre Company. Regional: BORN YESTERDAY (Paul) at the Cape Rep Theatre, CABARET (Cliff), OF MICE AND MEN (Slim) and LITTLE SHOP OF HORRORS (Audrey II) at Northern Stage and EMMA (Ben) at the Thetford Playhouse. NY Theater: 365 DAYS/365 PLAYS at The Public Theater, DELICATE BUSINESS OF BOY AND MISS GIRL in the NY Fringe and THREE SISTERS and THE BEST INTENTIONS at The Shapiro Theater. 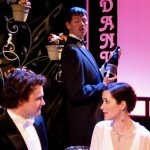 Gordon is a recent graduate of Dartmouth College where he was a Warner Bentley and Henry B. Williams Theater Fellow. 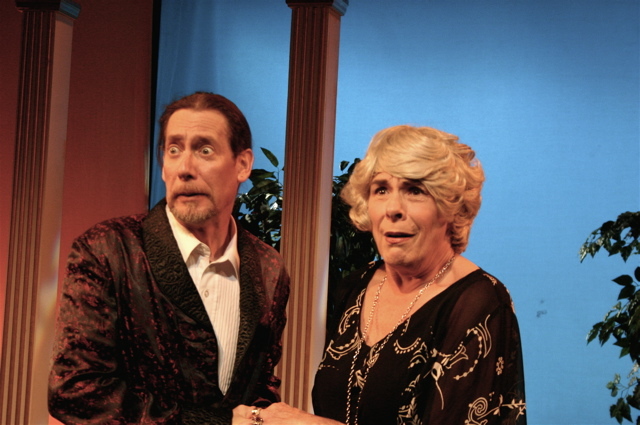 CHRISTOPHER LINN (Baron Hector) has performed in theaters all over Long Island in 125+ productions over 38 years. Some recent appearances include Jaques in AS YOU LIKE IT in Greenport, Gandalf in Southampton Players’ THE HOBBIT and MacDuff in Guild Hall’s production of MACBETH. He gave highly acclaimed performances at Guild Hall as Cervantes/Quixote in MAN OF LA MANCHA and as George Hay in MOON OVER BUFFALO. Other favorite roles include: Ko-Ko in THE MIKADO, Scrooge and Marley’s Ghost in several productions of A CHRISTMAS CAROL, John Adams in 1776, George in WHO’S AFRAID OF VIRGINIA WOOLF, both Nathan Detroit and Sky Masterson in different productions of GUYS AND DOLLS and Prospero in THE TEMPEST – a role he is scheduled to revisit later this summer in Riverhead. Chris was also a proud member of the Blackfriars Traveling Shakespeare Company and, in 2006, he won the title of “Long Island Elizabethan Idol” in a Shakespeare competition in Huntington. He is delighted to return to HTC, where some may remember him from NIGHT WATCH, IT’S ONLY A PLAY, THE CRUCIBLE and PACK OF LIES. Love and thanks to Vicki for her support! DIANA MARBURY (The Duchess of Pont-au-Bronc, Set Decor, Producer) is pleased to be back on the boards. 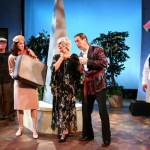 She last was seen as Gertie in the HTC’s production of FUDDY MEERS. 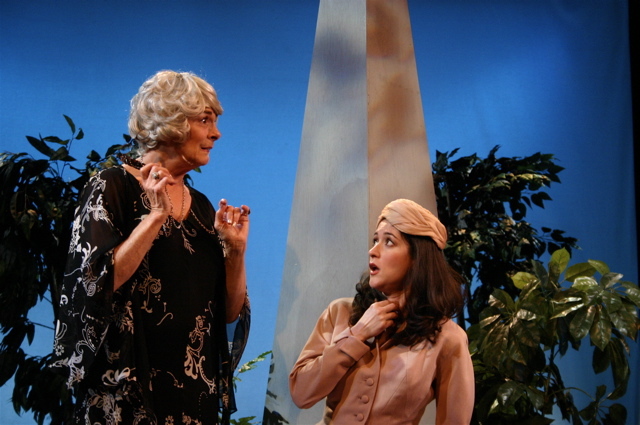 Diana directed this season’s opening show, THE TALE OF THE ALLERGIST’S WIFE. She would like to take this opportunity to thank Sarah and Jimmy for working so tirelessly through this winter and spring to bring live theater to the East End “off season.” It is a pleasure to a part of this team. She looks forward to greeting the HTC audience at our fundraiser this August 26. Diana would like to dedicate this performance in memory of her mother, Genevieve. JASON MARR (Head Waiter)’s most recent work includes WITNESS FOR THE PROSECUTION and ORSON’S SHADOW, both in the Boston area, and the season opener at Indiana Repertory Theatre. 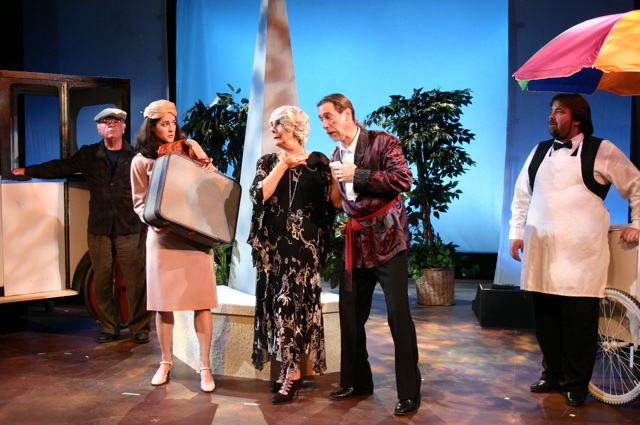 Off-Broadway and New York credits include BRANDO, LOOSE KNIT, IN A NORTHERN LANDSCAPE, EULA MAE’S BEAUTY and BAIT & TACKLE. Regionally, Jason has appeared at Premiere Stages, Barksdale Theatre, Hippodrome State Theatre, Brown County Playhouse, Porthouse Theatre and five seasons with Ohio Shakespeare Festival, where he is a founding company member. Television work includes “Law & Order: Criminal Intent,” “Special Victims Unit” and “Trial by Jury.” Directing work includes MOURNING BECOMES ELECTRA and AS YOU LIKE IT. Based in NYC, Jason has been a member of Actors’ Equity since 2000. 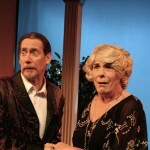 JOY MARR (Amanda) is delighted to make her Hampton Theatre debut! In NYC, Joy has worked with Lynx Theatre, Blue Heron Arts, Theatreworks and the New Ensemble. Regional credits include CAT ON A HOT TIN ROOF, THE SEAGULL, THREE TALL WOMEN, COLLECTED STORIES, OUR TOWN, BUS STOP, THE BLUE ROOM and HYSTERIA. Shakespearean roles include Viola, Katherine the Shrew, Miranda, Juliet, Titania, Perdita, and Master Gunner’s Boy. MFA: Alabama Shakespeare Festival. Proud member of Actors’ Equity. Thank you, Sarah! DIANNE MARTINEZ (Servant/Coat Check Girl/Crew) is thrilled to be back on stage after performing in college and is even more excited to be making her first appearance with the Hampton Theatre Company. JEAN ANOUILH (Playwright) is France’s best known and most prolific playwright of the 20th century. He was the author of over 40 plays (he began writing them at the age of 12), best known among them including RING AROUND THE MOON, THE WALTZ OF THE TOREADORS, ANTIGONE, BECKET, THE LARK, THIEVES’ CARNIVAL and ROMEO AND JEANNETTE. SARAH HUNNEWELL (Adapter, Director, Producer, Sound Designer) wears many hats for the HTC under the all-purpose umbrella of Executive Director. 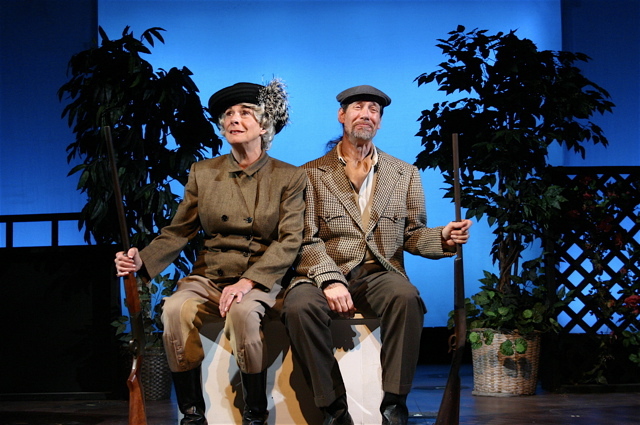 Her favorite of those hats, though, is that of director and she is happy to be at it again, particularly on this play which she has worked to restore to Jean Anouilh’s beautiful original. Previous favorite directorial credits include EVERYTHING IN THE GARDEN, SUMMER AND SMOKE, A VIEW FROM THE BRIDGE, THE RAINMAKER, ORPHANS and PROOF. Many thanks to her excellent cast and crew for their hard work in bringing this project to life. TERESA LEBRUN (Costume Designer) is happy to be back costuming for HTC. 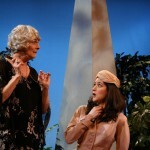 Teresa has been with the Hampton Theatre Company on and off for over twenty years. She designed costumes for the company’s recent productions of BREAKING LEGS and EVERYTHING IN THE GARDEN as well as THE HO– USE OF BLUE LEAVES, THE FOREIGNER, RUMORS, OF MICE AND MEN, SUMMER AND SMOKE, DEATH DEFYING ACTS, PROOF and, last fall, THE TALE OF THE ALLERGIST’S WIFE. 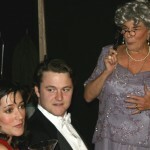 Teresa has also costumed THE NERD, DRACULA and RED HERRING for Spindletop Productions at Guild Hall. Much love to her boys Josh and Noah. LEONARDO LIGUORI (Stage Manager). Prior to joining the Hampton Theatre Company, Leonardo worked in many different capacities in the entertainment world: film maker, writer, producer, director, actor, professional fireworks supervisor, stage hand, lighting assistant, camera operator, audio tech and photographer. With great anticipation Leonardo looks forward to this, his first adventure with the HTC. RACHEL LUCAS (Assistant Stage Manager). This is Rachel’s first production with the Hampton Theatre Company. A freshman at Westhampton Beach High School, Rachel was stage manager for the middle school productions of CRAZY CAMP and THE NIFTY FIFTIES. She was light board operator for the WHB High School productions of LES MISÉRABLES and THE CRUCIBLE and assistant stage manager for THE SOUND OF MUSIC. Thanks to the cast and crew for helping her learn about the profession that she hopes to pursue. 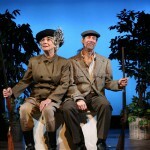 So: Wit and whimsy have not been assassinated by the pervasive cynicism of the present—at least not in the scintillating production of Jean Anouilh’s “Léocadia,” by the Hampton Theatre Company in its home in Quogue. Anouilh, who was probably the most popular playwright in Europe in the years following World War II, grouped his wide range of plays into eight categories: black, for instance, for his tragedies, such as his adaptation of “Antigone”; brilliant, for a combination of tragedy and fantasy such as “The Lark”; and rose, for his plays with fantasy elements. 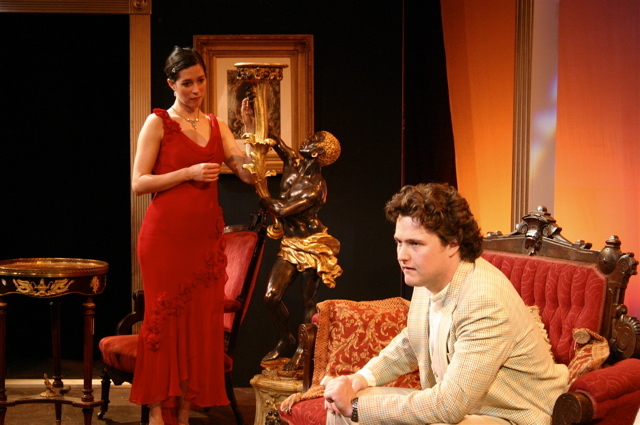 “Léocadia” is deliberately and pervasively a ‘pièce rose,’ and if you don’t believe this, Peter Marbury’s exquisitely textured and gorgeously, humorously varied set, and Sebastian Paczynski’s red and pink and bright blue lighting design that washes reality in lovely unreality remove the possibility of any puncturing spears of doubt. And for further proof, there’s the sweet acting of a well picked and well trained cast, and the light touch of director Sarah Hunnewell, who also adapted this production of “Léocadia” from its original French. It’s a comfortable and airy translation that retains the whimsy of the original without tipping too far into the stylized. Truth be told, “Léocadia” is a wordy play. Hardly any of the characters take less than 50 words to say what could easily be said in 10. And, while it’s kind of fun to withhold the major purpose and the reason for the play’s forward motion from the audience by talking over, under and around it—at least at the beginning—this can become a tad tedious. And when that purpose is furthermore obvious from the beginning of the first paragraph of dialogue, the effect, for all its charm, can begin to border on the soporific. But these moments fade after the first 20 minutes or so, and “Léocadia” settles into becoming a charming little fantasy about a prince who’s fallen in love with a dramatic singer who meets her death in an Isadora Duncan manner, by strangling herself on her flowing scarf. Flung into morbid depression by the loss of his great love, he’s made the virtual prisoner of memories, which are replanted by his highly eccentric aunt, the Duchess of Pont-au-Bronc. Blithely writing his life, she re-creates everything except Léocadia within the confines of her enormous estate in Brittany. As the curtain rises, she’s about to re-create her, too, in the person of a young and unaware milliner from Paris. What follows is comfortably foreseeable, and at the satisfying end of the play, most of the characters emerge a bit bruised but brighter. And now about those characters, each of whom is a delicious, finely understood and sometimes wackily wonderful creation. The servants, from a bouncy maid and butler literally danced by Dianne Martinez and Emanuel Ruiz, to the controlled stylization of James Ewing as the Duchess’s major domo, are little whimsical wonders. On the opening weekend, Christopher Linn, though in the proper groove overall, had a somewhat modified success with the character of Baron Hector, the Duchess’s foppish companion. A drawing back from striking the right note a little too vigorously will undoubtedly occur during the run of the play with this fine actor. Alfred Gigliati, as a gamekeeper and an ice cream man with no ice cream in his cart, is warmly bright. 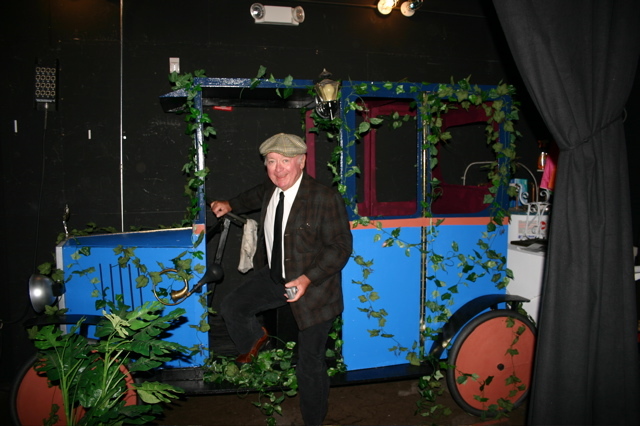 John Downing, as an innkeeper and the driver of a French taxi that’s a masterpiece of stage design—colorful and jaunty and crawling with vines—is a rewarding source of continuous humor. The taxi starts, but of course, since it’s a plant, too, it never moves. But Mr. Downing does, delightfully, with a sharp command of comic timing. 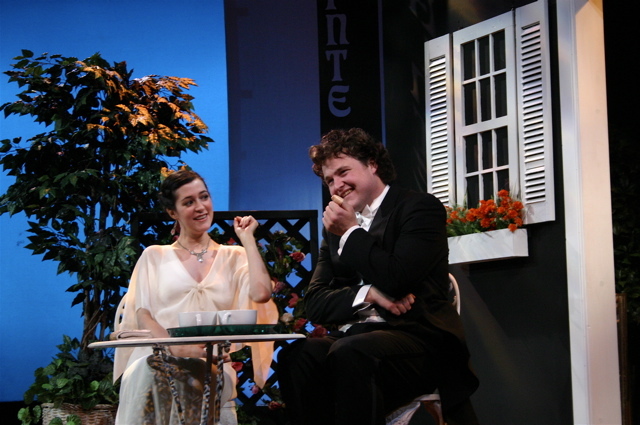 If there’s a single character on stage who captures the heart of the play in every moment and with every delivery, gesture and reaction, it’s Jason Marr, who invests what might have been a throwaway role of a head waiter with such nice nuances and delectable delineations, he threatens to appropriate every scene in which he appears. Not that he does. He merely hits just the right note, then gets off it. And this leaves us with the three main characters. It’s easy to see why Helen Hayes walked off with a Tony in 1955 for her portrayal of the Duchess of Pont-au-Bronc. It’s a big, juicy role, a gourmet feast for an actress, and in Quogue Diana Marbury sinks her teeth into it with relish and vitality. This dotty Duchess, in the hands and the skill of Ms. Marbury, emerges as a huggable, nosy, overly loquacious relative who will do anything to make the life of her nephew happy. Who could hate her? As Prince Albert Troubescoi, Gordon Gray, though minimizing the vulnerability that might make him more sympathetic, hits, with heroic vigor, most of the right chords as a troubled, masochistic romantic who is literally crying for somebody—anybody—to really understand him and his plight, and to truly break the chains of memory. Joy Marr, as Amanda, the milliner who serves as his emotional turnkey, handles her assignment with grace and allure, bordering on bewitchery. Appearing initially as a plain, very plain shop girl, she grows, as the play progresses, into, if not the reincarnation of Léocadia, the angel of freedom that leads the prince from the romanticism of recall into the romantic reality of the here and the now. Teresa Lebrun’s costumes are elegant and, at the appropriate moments, dazzling. And Sarah Hunnewell has fused the music written for “Léocadia” and Anouilh’s “Ring Round the Moon” into a sweet, melodic cloud upon which her lighter than a lot of air production floats. 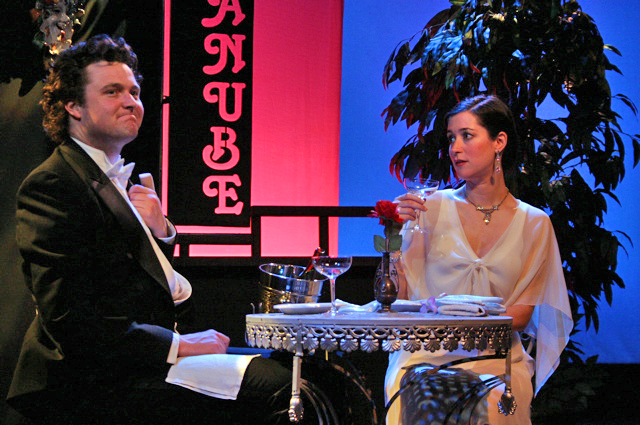 Another classic – this one less familiar to English-speaking audiences – receives a delightful reprise by one of Long Island’s most accomplished community theaters. 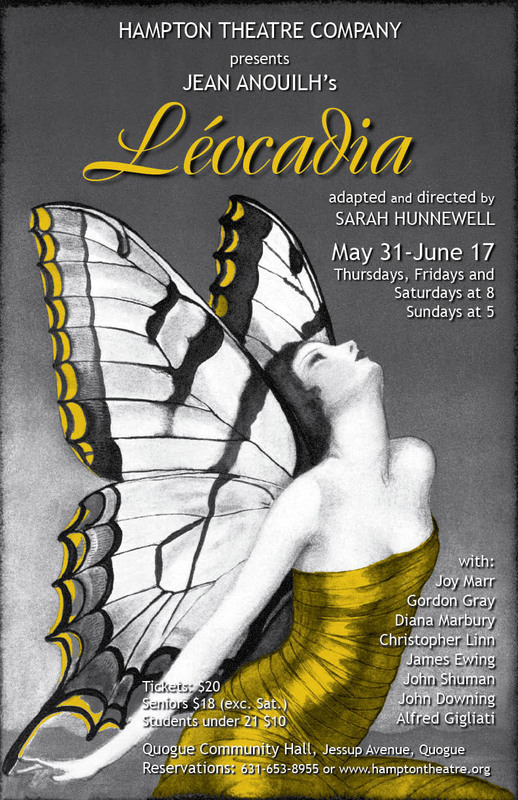 On the 50th anniversary of its Broadway debut starring Helen Hayes and Richard Burton, “Léocadia” (then known as “Time Remembered”) gets a new and light-as-helium translation by director Sarah Hunnewell. A young prince who has nothing better to do than worship a three-day relationship with a diva named Léocadia becomes the project of his obscenely rich aunt, a duchess. She has recreated every prop of her nephew’s romance with the singer before her extravagant demise. The only element lacking is Léocadia, who, like Isadora Duncan, died strangling on her scarf. A milliner who bears a striking resemblance to Léocadia is recruited, unwittingly, for the role. Hunnewell and her agile cast fluff this frothy French confection with unabashed abandon. Diana Marbury as the beyond-eccentric duchess girds the comic premise against running aground on the shoals of absurdity, even against an opening-night set mishap of a toppling obelisk (no apparent fault of resourceful designer Peter Marbury). 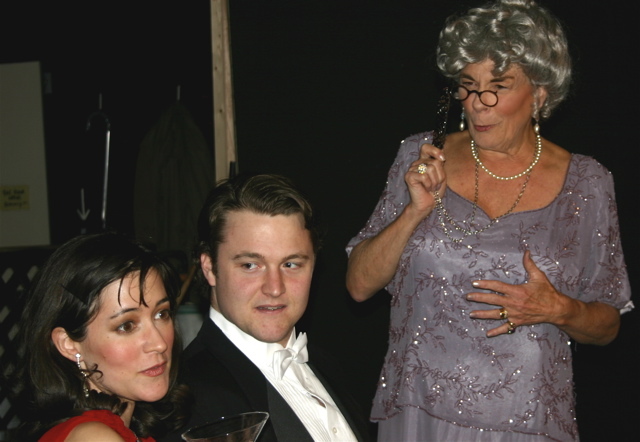 As the hatmaker, Joy Marr remains a blithe good sport without us thinking her a fool, while Gordon Gray as the prince displays his ardor with comic economy. 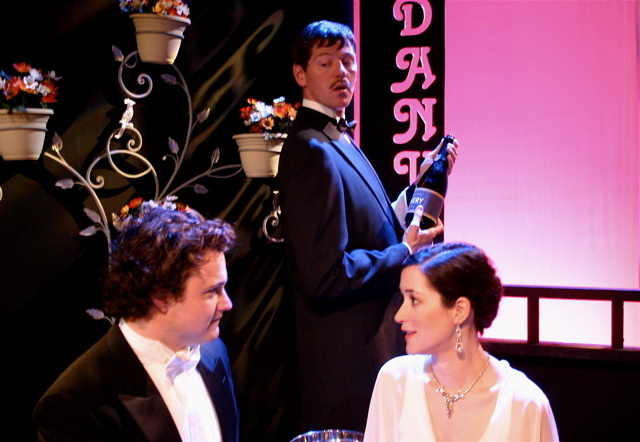 Jason Marr and James Ewing as head waiter and butler offset the upstairs humor with downstairs aplomb. Play along and indulge. The French – and their East End interpreters – know how to make dessert nonfattening.